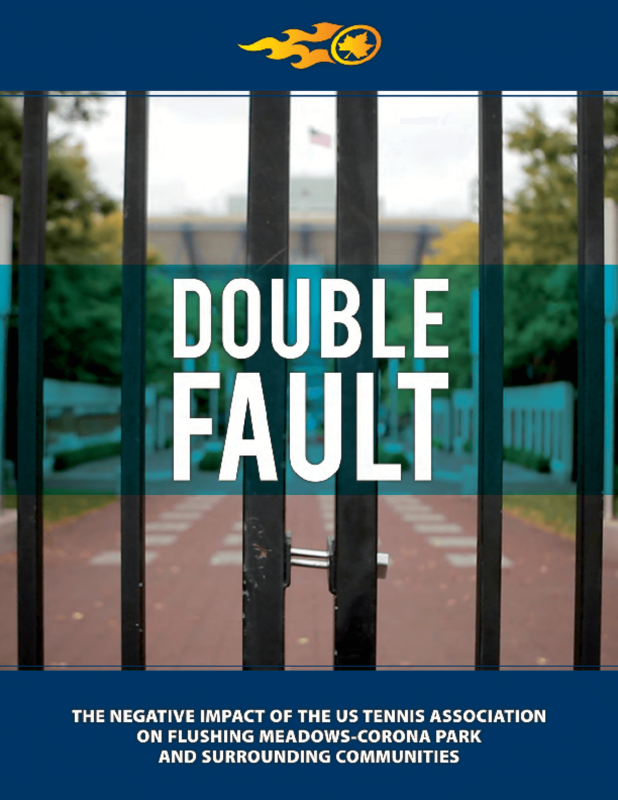 This in-depth report documents the negative impacts the US Tennis Association (USTA) has on Flushing Meadows-Corona Park and the surrounding communities. The report cites hundreds of millions in taxpayer handouts to USTA, which has moved most of their high paying jobs to Westchester County. The USTA is currently seeking to gain more free parkland in Flushing Meadows-Corona Park without replacement as part of their proposed expansion. The USTA aims to build a third tennis stadium, enlarge two existing stadiums, construct two new parking garages, pave a new road, add up to 170,000-gsf of new retail space, and the build a dirty diesel-fueled power plant. Copyright 2013 Fairness Coalition of Queens.